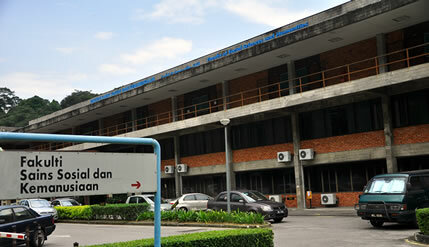 BANGI, 14 August 2012 – A reunion of the alumni of the Faculty of Social Sciences and Humanities (FSSK) from the class of 1987 of The National University of Malaysia (UKM) will be held at the main campus here on Aug 31 and Sept 1. This reunion is being organised in conjunction with the 25th anniversary of their graduation from UKM to be held at the Chancellory in the main campus. This gathering, the first organised by the FSSK’s Class of 1987 is aimed at bringing the graduates back to the campus after 25 years of leaving the university. It will provide them the opportunity to catch up and renew their comraderie after being away for 25 years and to celebrate Aidil Fiitri. FSSK will try to gather as many of the former students as it could but targets about 500 to attend including their spouses and several former lecturers of the faculty in recognition of their services. A fee of RM100 per head will be charged for those attending.